Stocks got a boost Thursday as investors listened to testimony from Federal Reserve Chair Janet Yellen and dug into the earnings of some troubled retailers. The S&P 500 ended at a record closing high, though it is sitting slightly below its all-time intra-day peak from a week ago. The Dow and Nasdaq finished higher as well. Investors around the world once again turned to the Fed for clues about monetary policy. Yellen testified before the Senate Banking Committee this morning. She blamed recent lackluster economic data on unusually bad weather, but said it is difficult to pinpoint exactly what effect the weather had on the economy overall. The Fed has asserted that the economy is steadily improving. As such, it began dialing back, or tapering, the size of its monthly bond purchases in December. It currently is buying $65 billion in bonds per month, down from $85 billion a month last year. Market strategists expect the Fed to keep scaling back its bond-buying program, but listened in to Yellen for hints about when the central bank may raise interest rates. To that end, Yellen maintained the Fed's stance that interest rates will stay low for some time. Still, minutes from the Fed's January meeting showed some internal debate about whether rates should be raised sooner rather than later. Yellen was originally scheduled to speak two weeks ago when she also testified before the House, but her appearance was delayed due to bad weather. Stocks rallied following her comments two weeks ago. Investors were also keeping a close eye on the tension in Ukraine. European markets finished the day mixed as traders fretted about the formation of a new Ukrainian government and its increasingly dire economic situation. Asian markets also ended with mixed results. What's moving: In corporate news, investors seemed to like what they're hearing from some struggling retailers. Shares of J.C. Penney (JCP)surged more than 25% after the retailer reported a narrower-than-expected quarterly loss and said it expects same-store sales to rise by 3% to 5% during the current quarter. After a rough few years, some investors are hopeful that the company can finally deliver on its much-hyped turnaround strategy. "$JCP America loves a comeback success story, especially when it's an American company," said MadeofGold on StockTwits. Still, one StockTwits trader pointed out the irony of such a big spike when the company hasn't yet returned to sustained profitability. "$JCP What's funny is that people are buying a company's stock because it is losing money less fast than previously thought," said zer0sum. 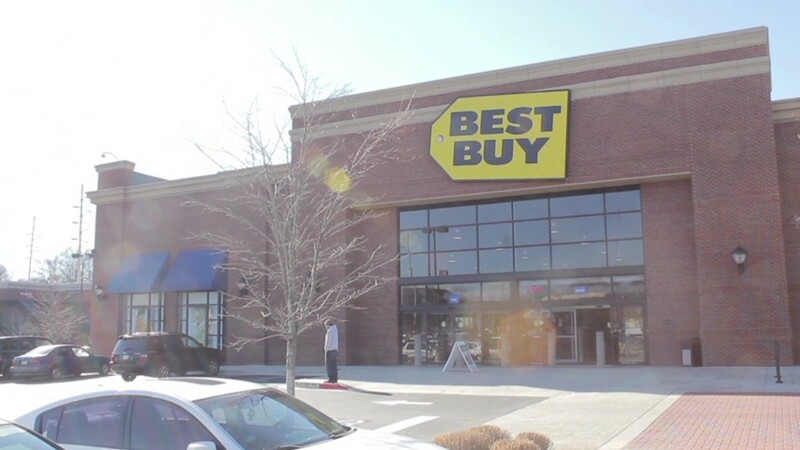 Best Buy (BBY) shares ended in the red after initially jumping by more than 5%. The electronics retailer reported quarterly earnings that had returned to profit from earlier losses. The company has experienced its fair share of problems in recent years as consumers have turned more to Amazon (AMZN) and other online stores for deals. StockTwits trader MarinaStrauss noted that Best Buy's profit wasn't driven by impressive sales. "#retail recipe to riches: slashing cost, boost profit...$BBY," she said. Tesla (TSLA)shares initially got a boost Thursday after the automaker announced it was raising $1.6 billion to fund its expansion plans. But shares pulled back and finished the day slightly lower. Still. the electric car company's stock has soared almost 50% in the past month and hit a high of $265 per share Wednesday. Shares of eBay (EBAY)rose after Carl Icahn issued a letter criticizing the two members of the internet commerce giant's board of directors for alleged conflicts of interest. It was the activist investor's second letter on the subject this week. eBay has defended its board members against the claims. Icahn revealed a stake in the firm earlier this year and is pushing for eBay to spin off its PayPal business. He also wants to place two of his employees on eBay's board. A few StockTwits users praised Icahn's campaign Thursday. "$EBAY God bless Carl. Fight for shareholders and profiting at the same time," said Morpheus. WhaleTrader remarked that regardless of the outcome of Icahn's clash eBay, the stock has benefited. 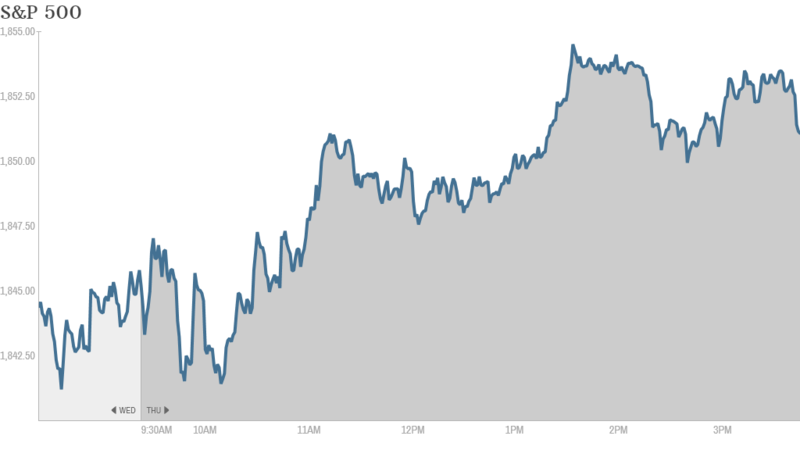 Shares rallied again Thursday and are at an all-time high. "Icahn is a smart man. He knew that even if $EBAY didn't go through with anything that a public battle would make the stock rise," he said. Shares of Chinese search engine Baidu (BIDU) popped after the company posted solid earnings and sales. The stock was the second-best performer in CNNMoney's Tech 30 index.